When merging or rebasing branches or commits you can get conflicts. Git will try to resolve these, but some conflicts need to be resolved manually. Git Extensions will show warnings when there is a merge conflict in the status bar in the bottom right corner. 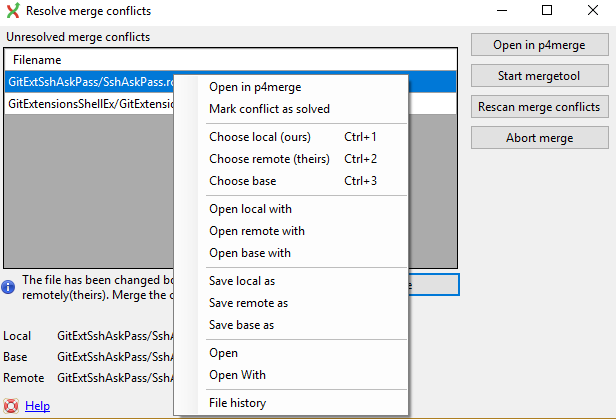 To solve merge conflicts just click on a warning or open the Solve merge conflicts... dialog from the Commands menu. A dialog will prompt showing all conflicts. The context menu shows the actions to resolve the conflicts. Double-click on a filename will start the mergetool. File deleted and changed Use modified or deleted file? File deleted and created Use created or deleted file? File changed both locally and remotely Start merge tool. If the file is deleted in one commit and changed in another commit, a dialog will ask to keep the modified file or delete the file. When there is a conflicting change the merge tool will be started. 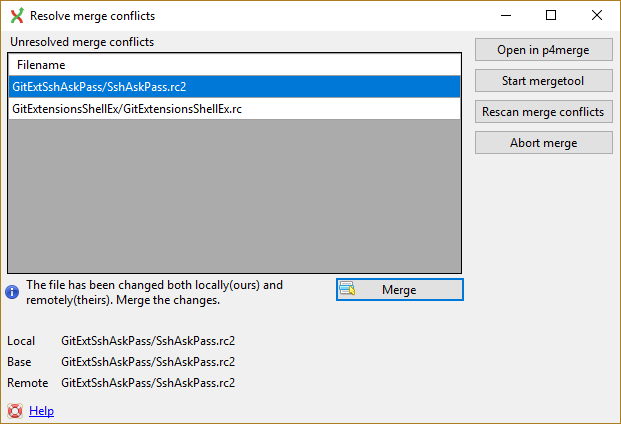 You can configure the tool you want to use for merge conflicts. 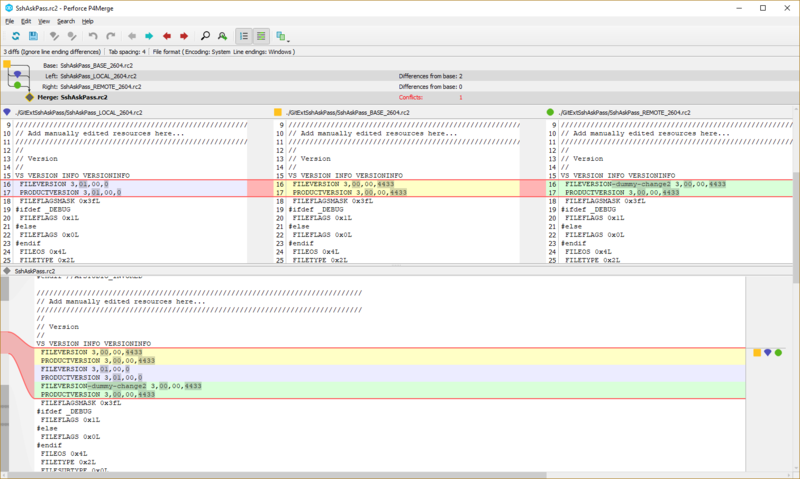 The image below shows Perforce P4Merge, a merge tool free to use for small teams. When you are in the middle of a merge the file named local represents your file. When you are in the middle of a rebase the file named remote represents your file. This can be confusing, so double check if you are in doubt.